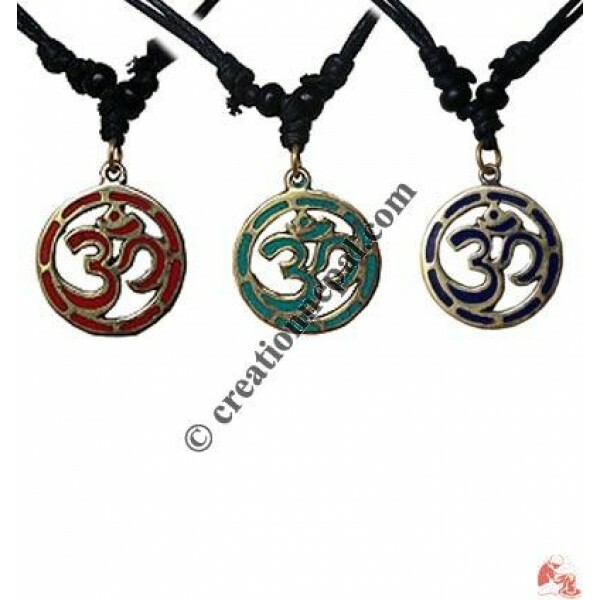 Small size Om mantra brass pendant. These pendants come with adjustable string and are offered in assorted colors. Since the pendant is entirely handmade, there can be slight variation in the given measurement.